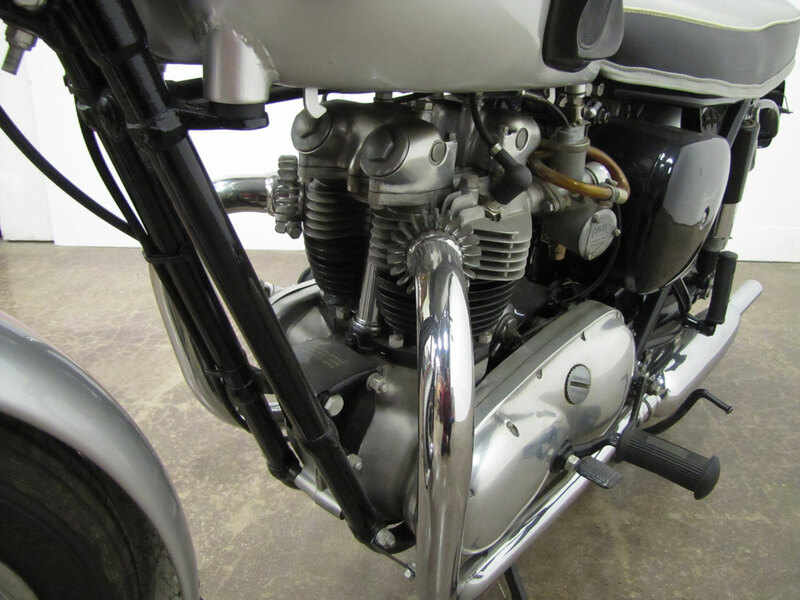 In an effort to appeal to American riders, in 1959 the Bonneville was named for Triumph’s success in Land Speed Record competition. 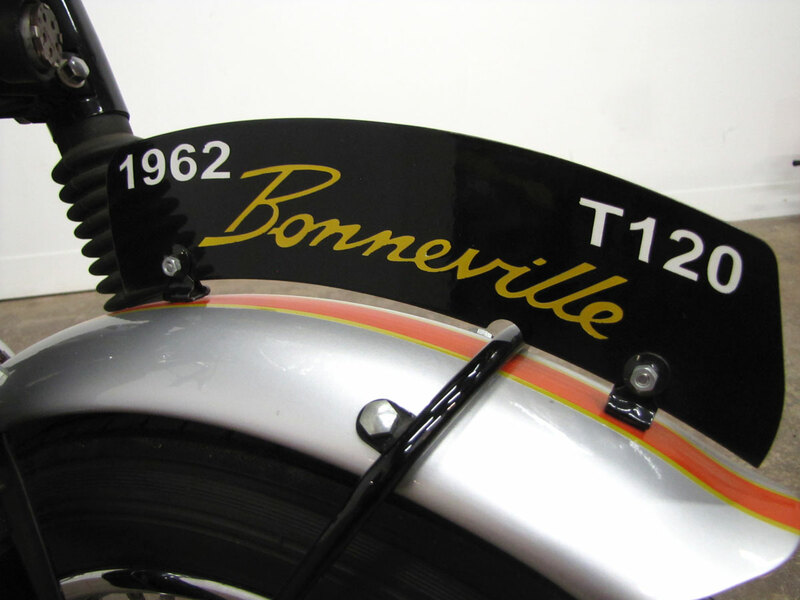 1962 was the last year of the “pre-unit” Bonnevilles: “unit” construction came to the 650 line-up for 1963. 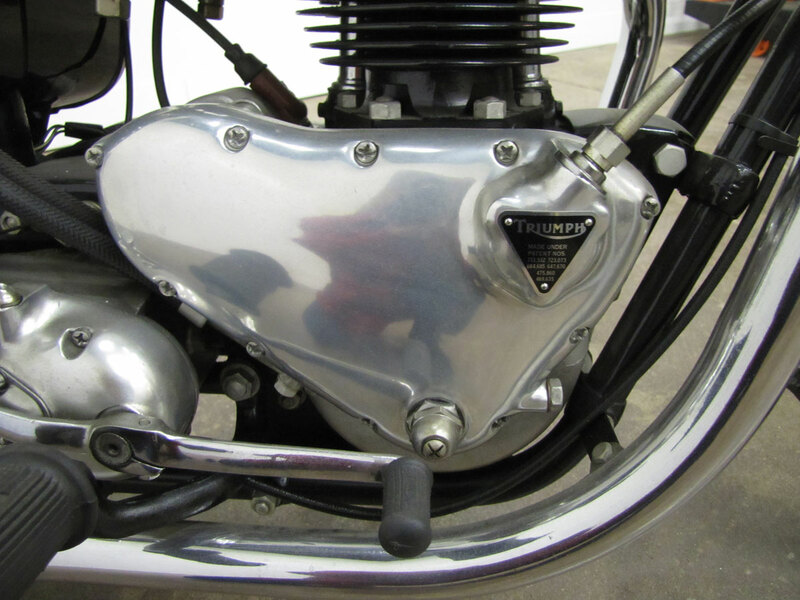 As time goes by, most look back on the Triumph twin designs of the 1960’s as some of the finest ever in motorcycling, and Edward Turner should get the credit. 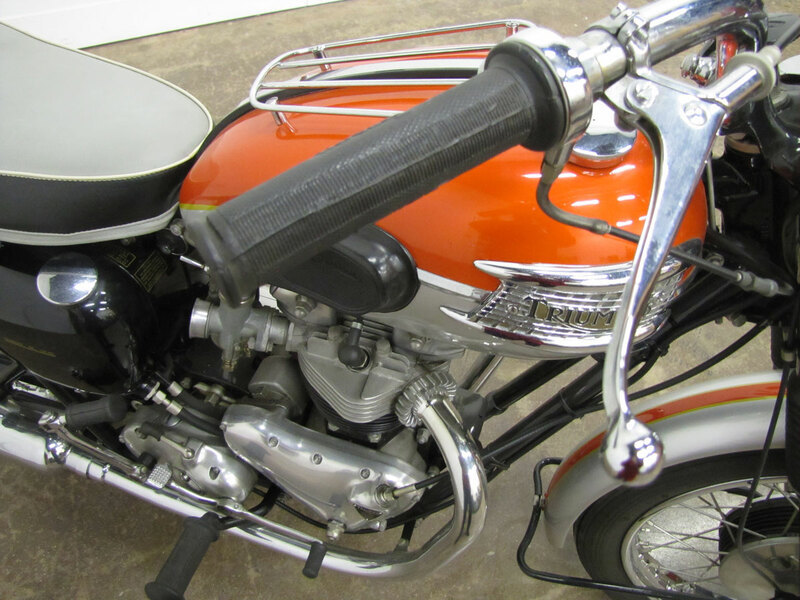 Tank form was graceful, painted fenders, well polished engines, slightly up-turned mufflers made for a striking image and profile. 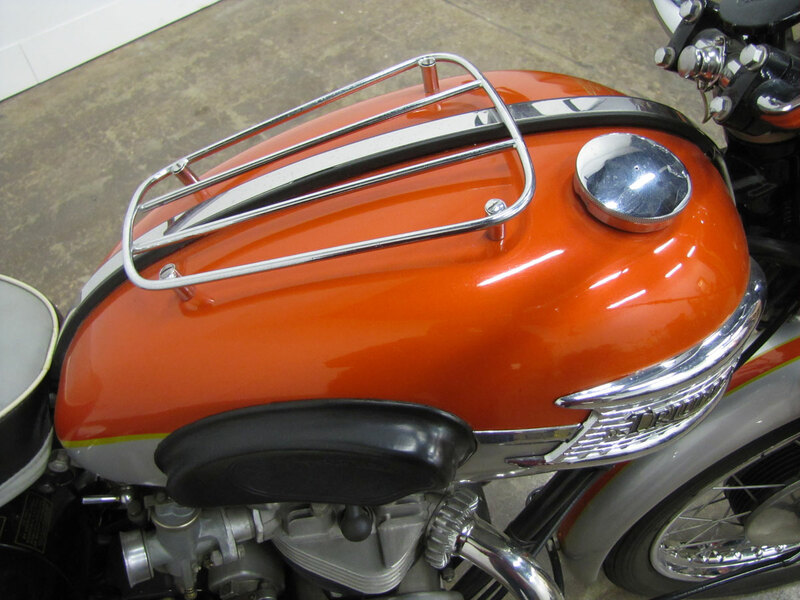 Smaller fuel tanks for America helped proportions, but “longhorn” bars affected the long low look of domestic and Continental versions. 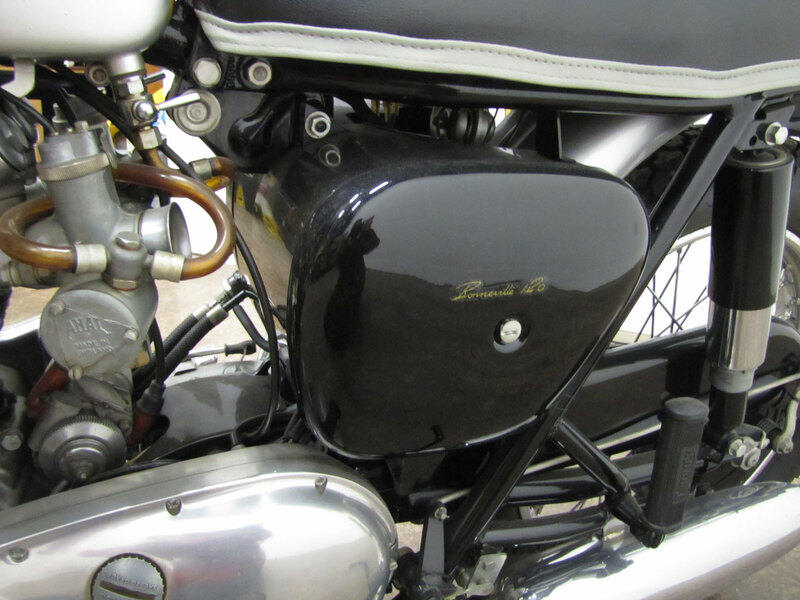 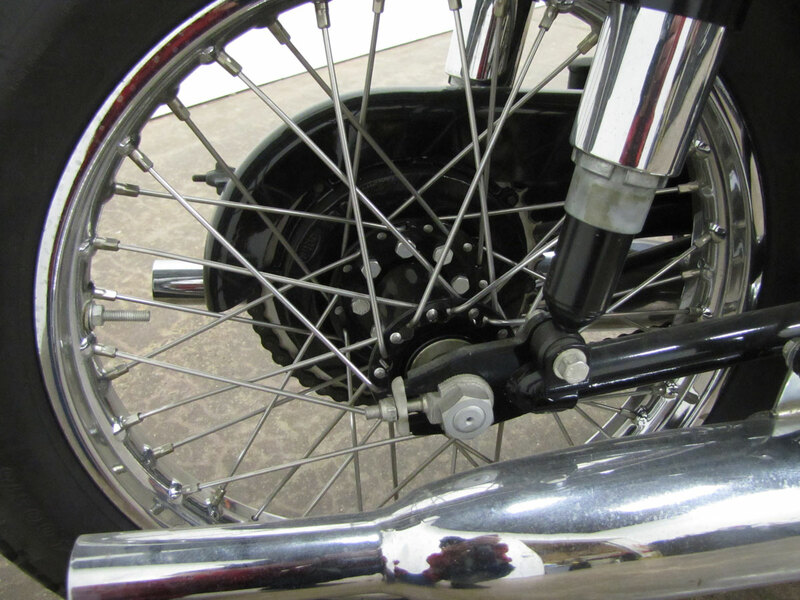 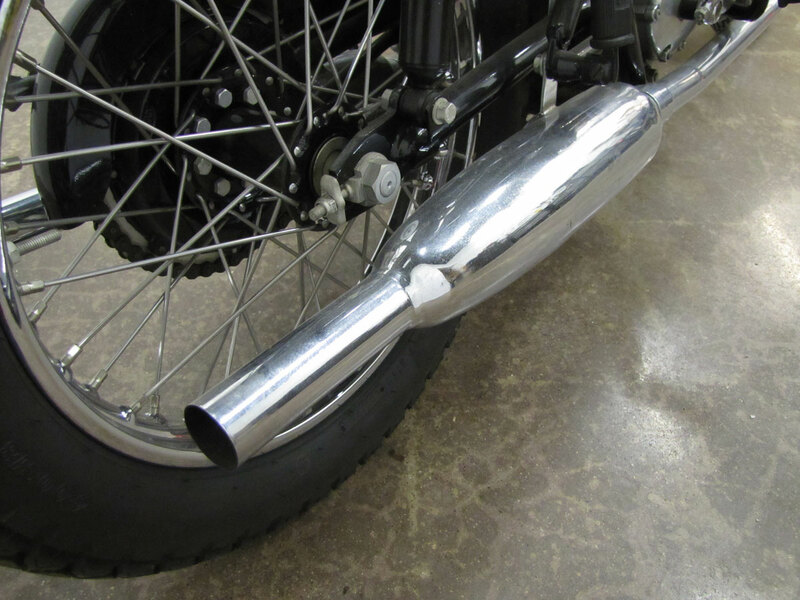 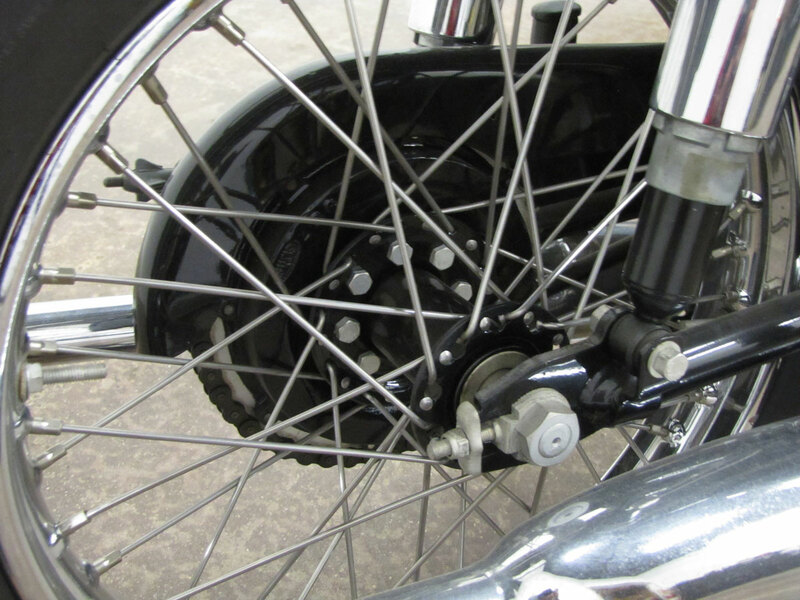 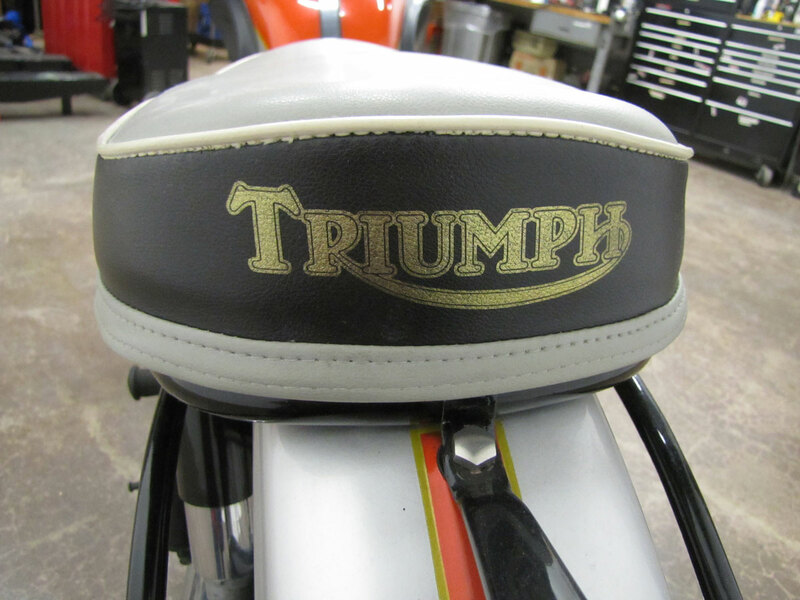 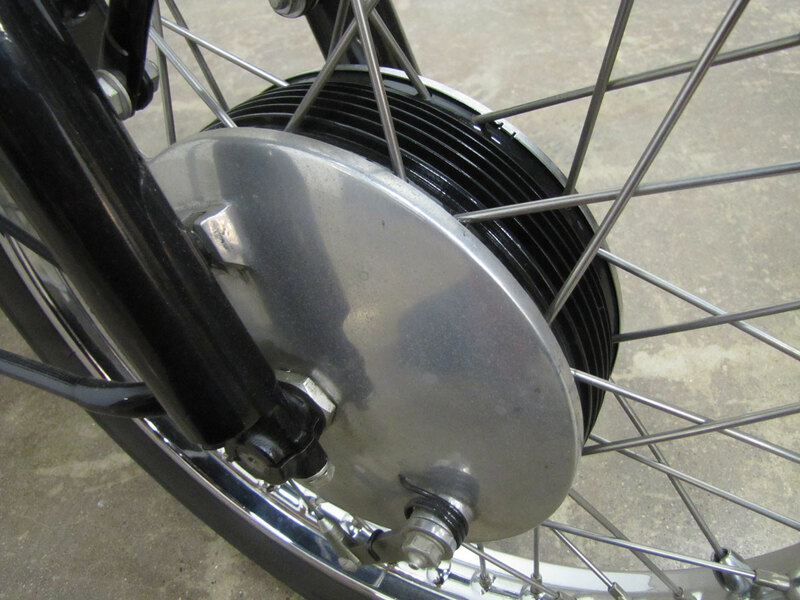 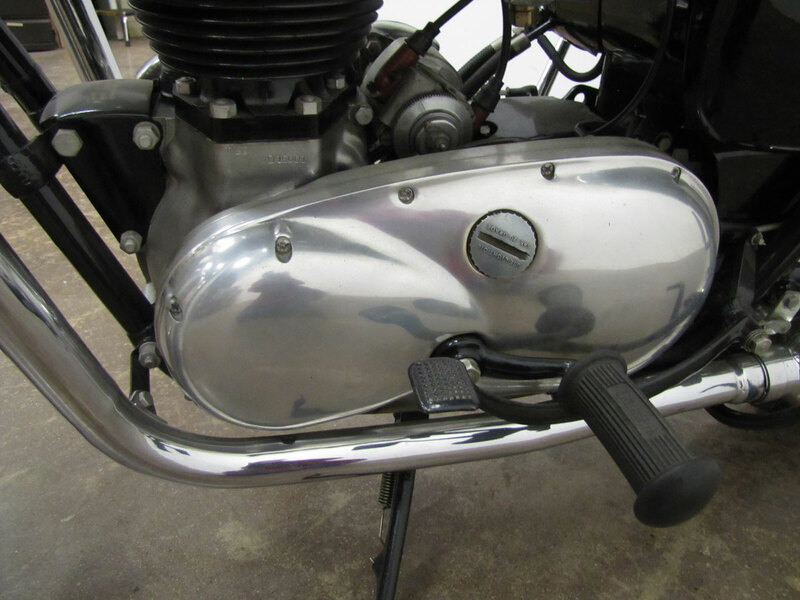 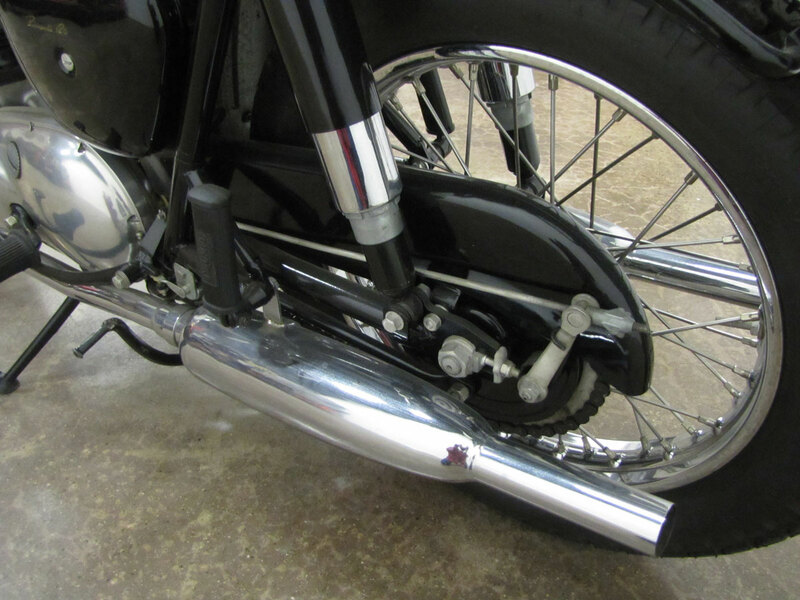 Mandates for more electronics, more exhaust muffling, turn signals and other equipment makes the best efforts of modern Triumphs to mimic the originals to fall a bit short. 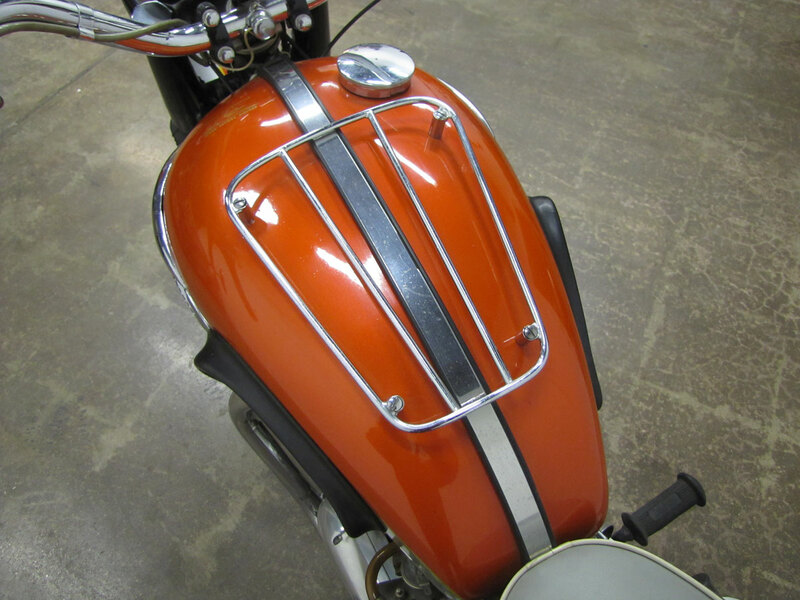 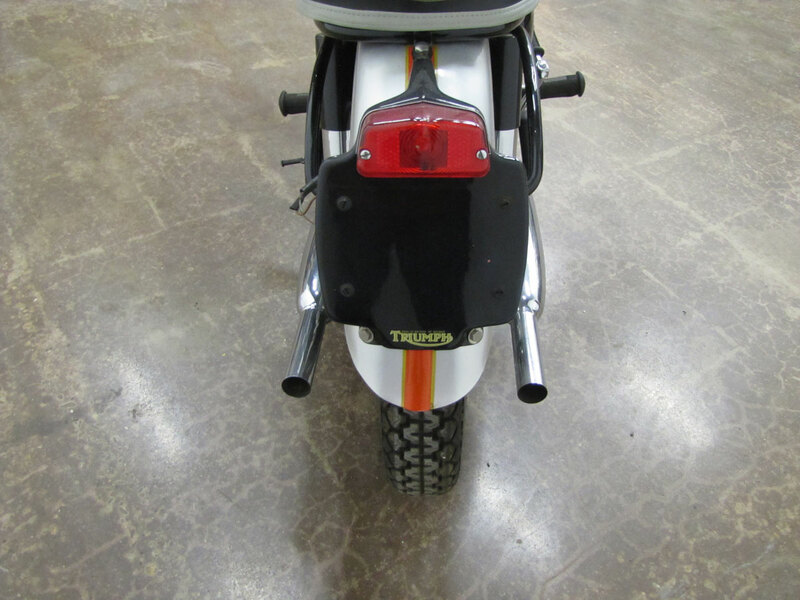 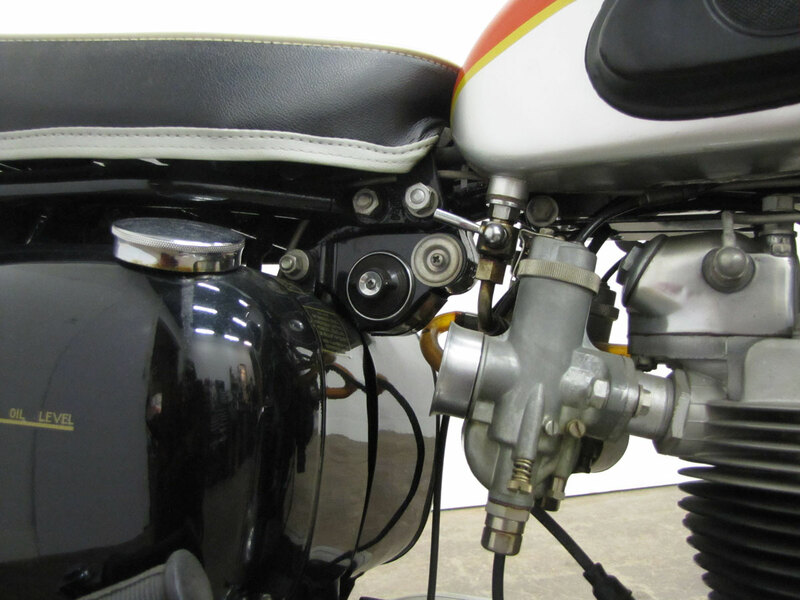 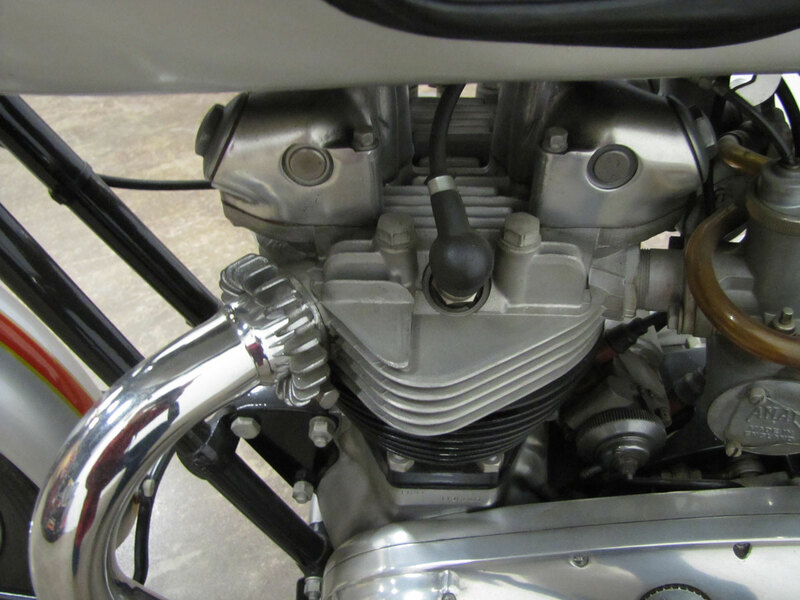 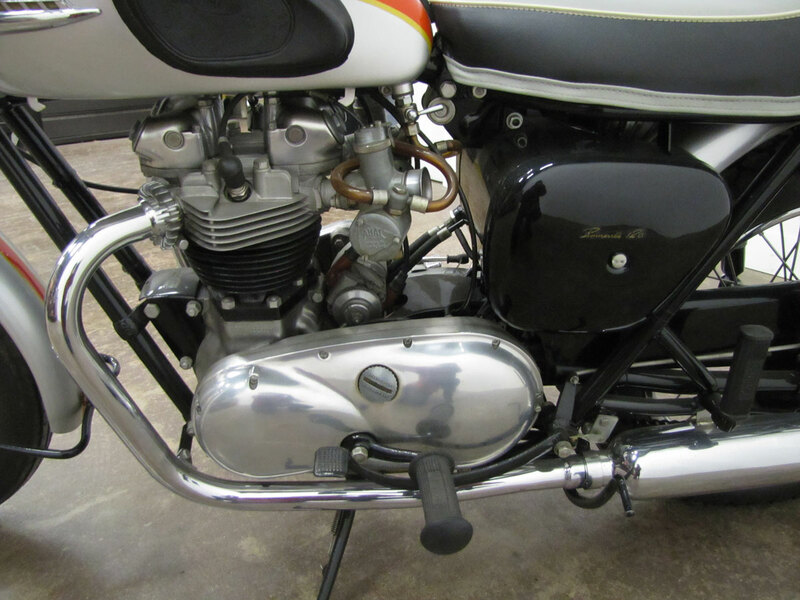 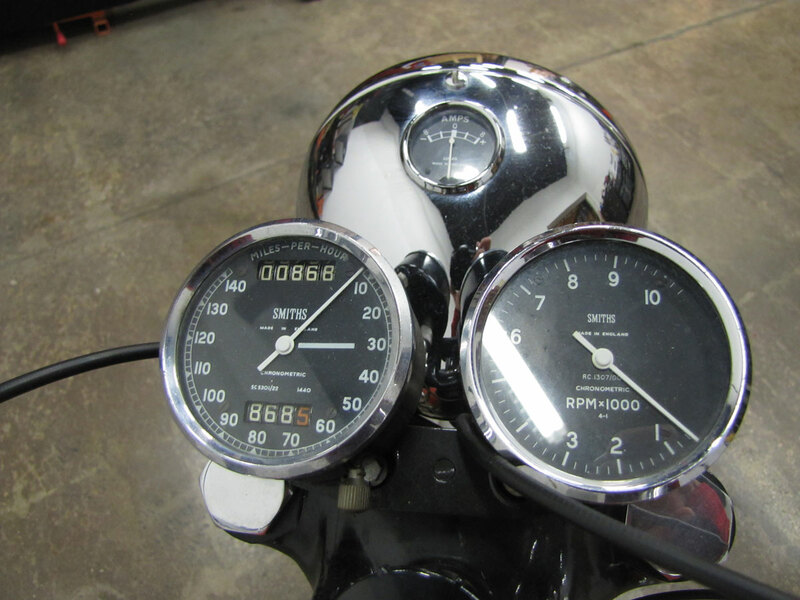 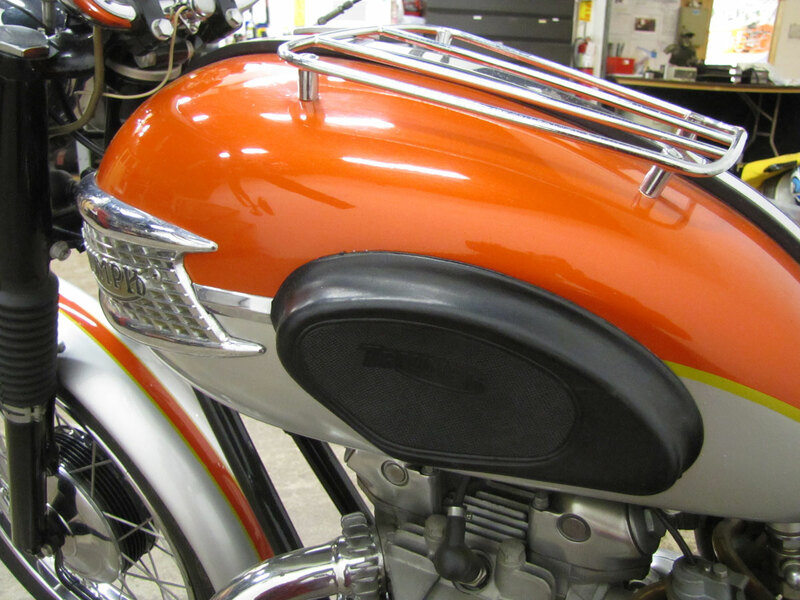 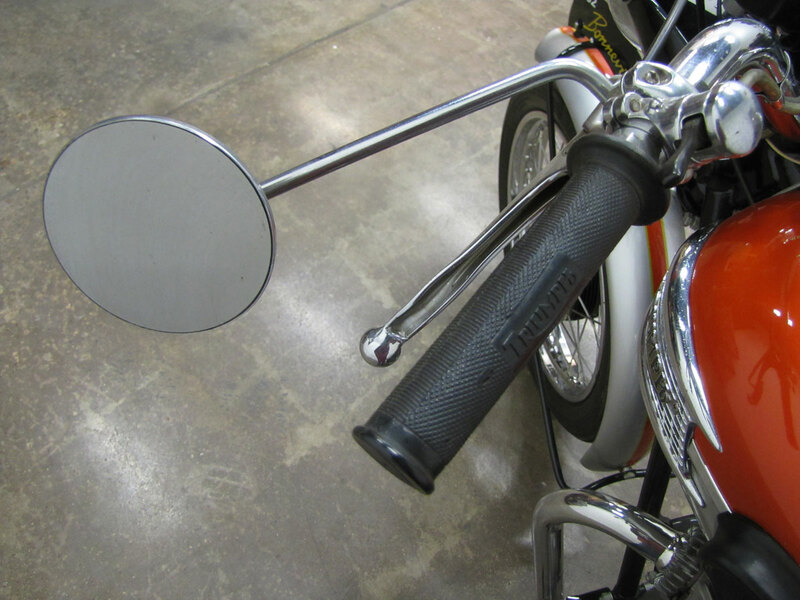 Vibration was a problem with the 650, a machine designed for American tastes for displacement. 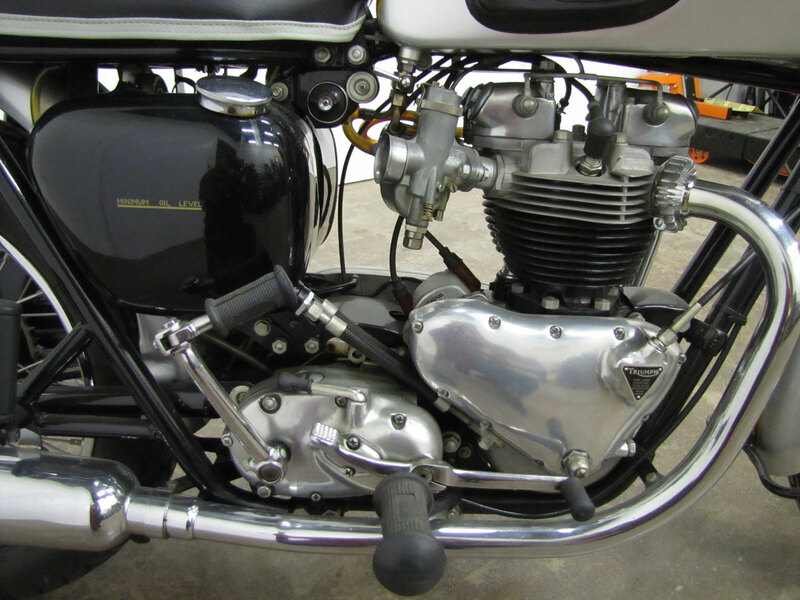 With the 1963 unit construction machine in development, little was done other than attempts at balancing the engine using new balance factors and ultimately a new heavier crankshaft. 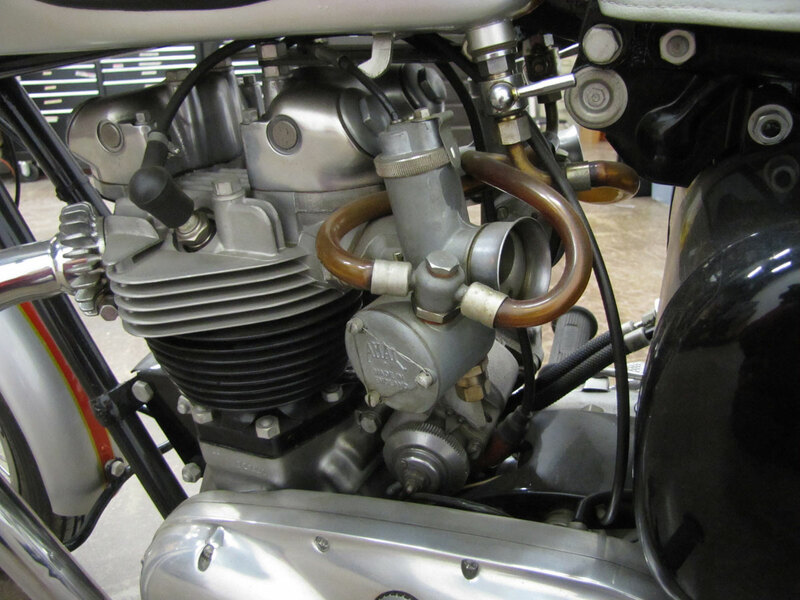 It was determined that two fuel taps, one for each carb, were needed with wide open throttle settings. 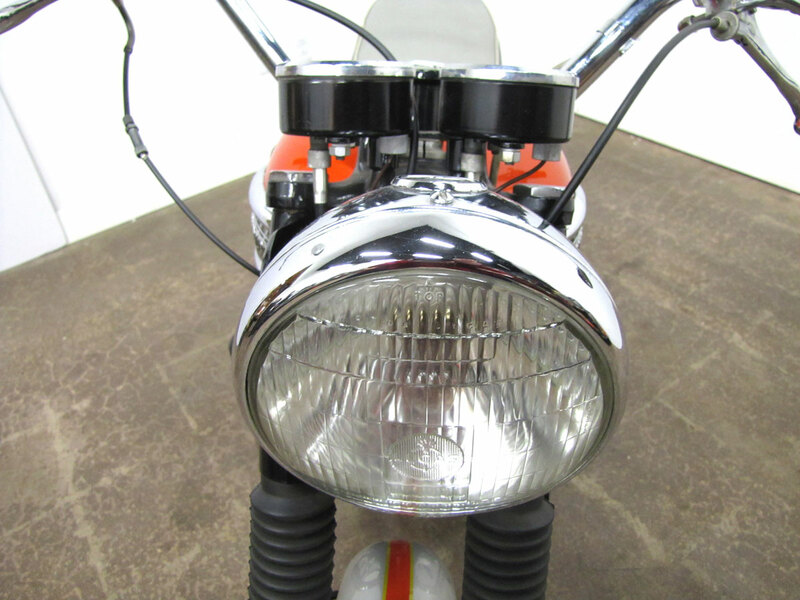 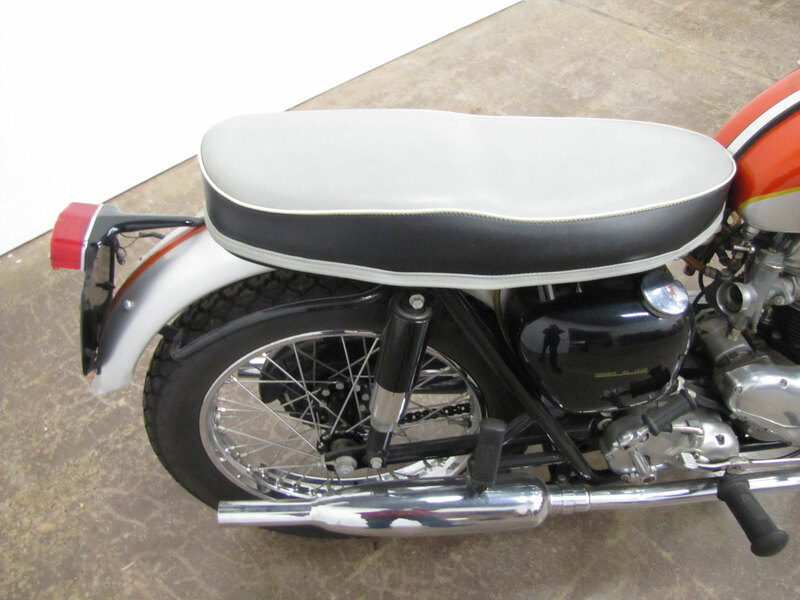 Cosmetic changes included a two-tone seat and the striking Flame and Silver Sheen paint work. 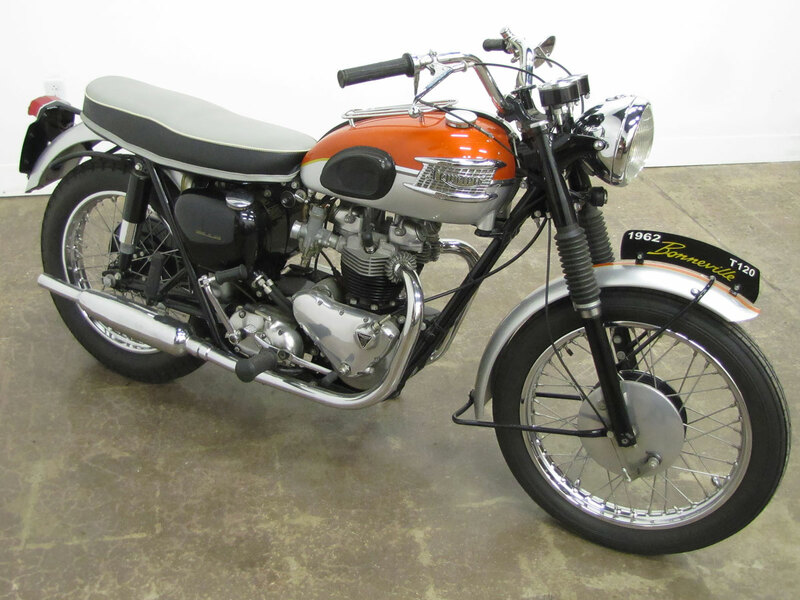 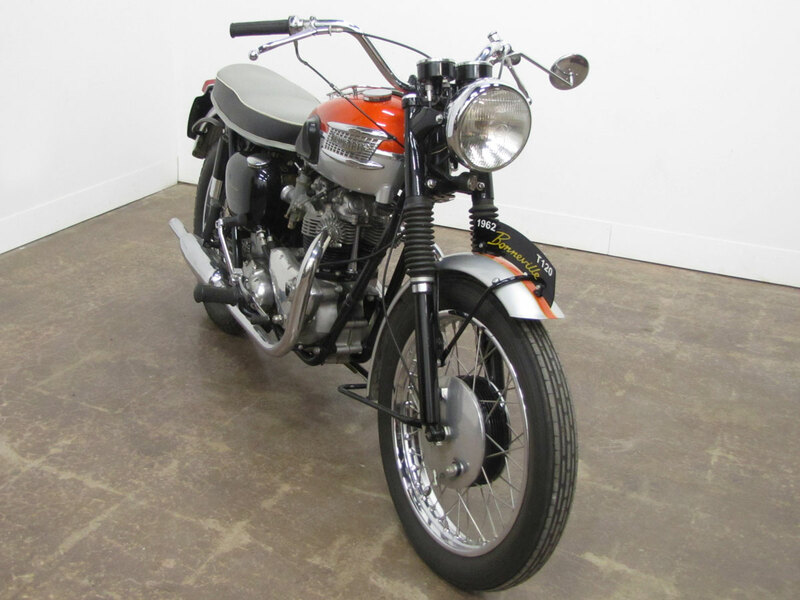 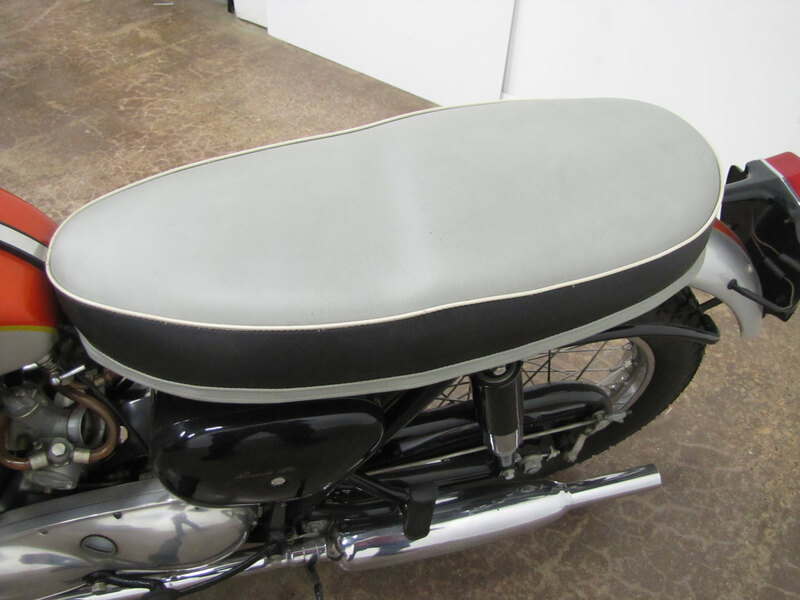 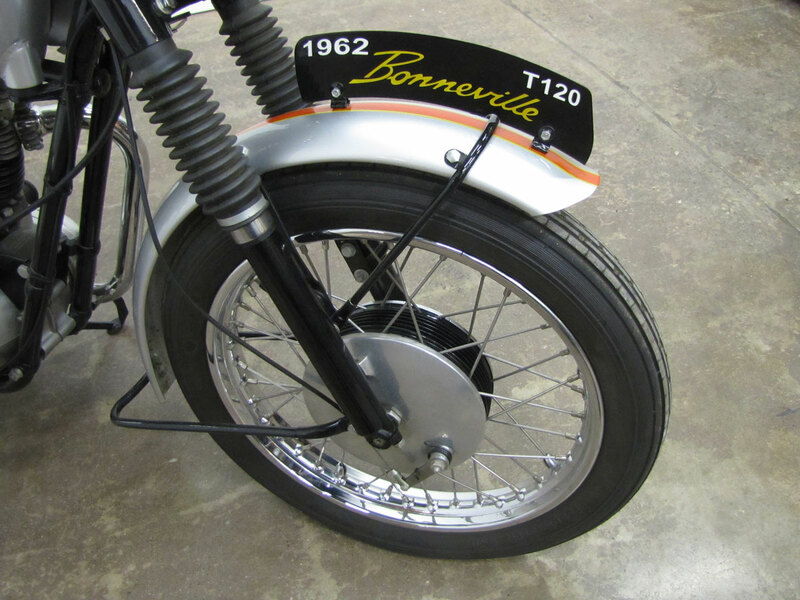 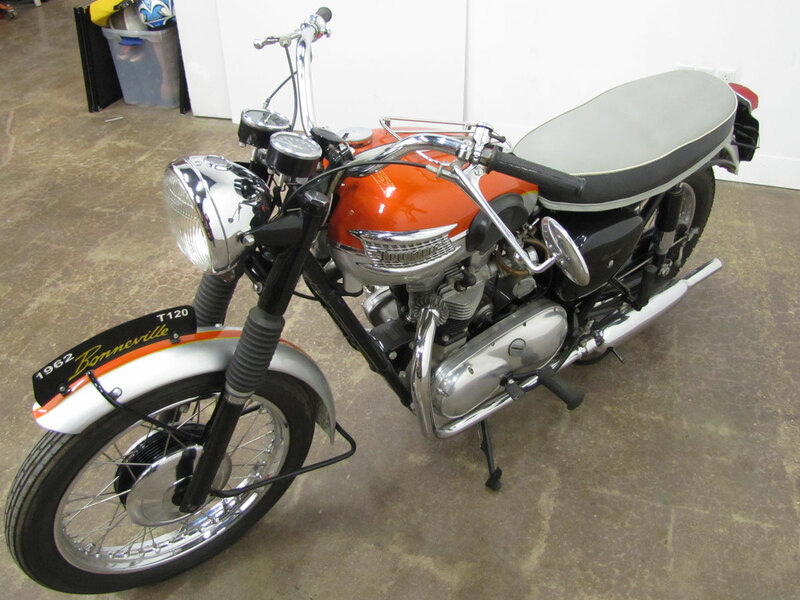 This beautifully restored 1962 Triumph Bonneville, on loan from Don Rosene, Anchorage, Alaska, is one of over 15 Triumphs on display, stock, custom and competition. 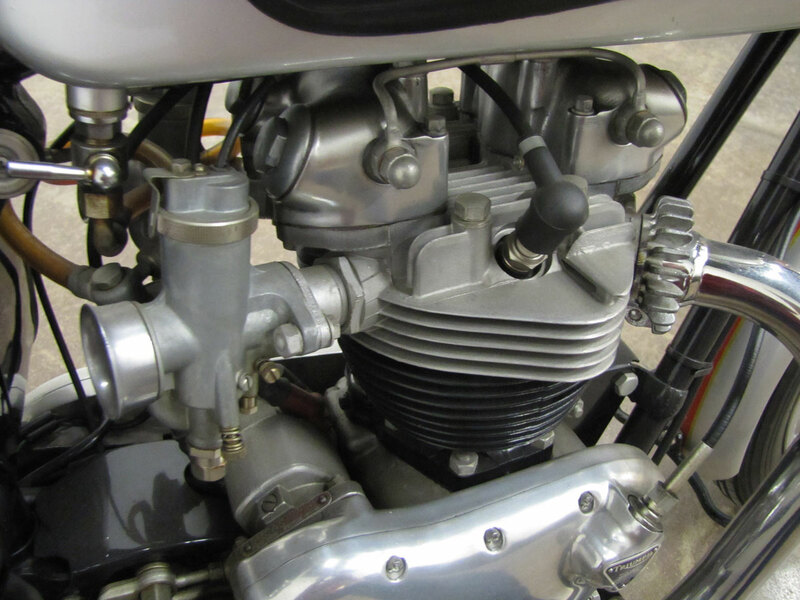 From a 1902 Whitley of Coventry, to a 1972 Vetter X75 Hurricane, Nortons, Rudges and Sunbeams, the range of British motorcycles at the National Motorcycle Museum makes it interesting to compare design and technology changes over time. 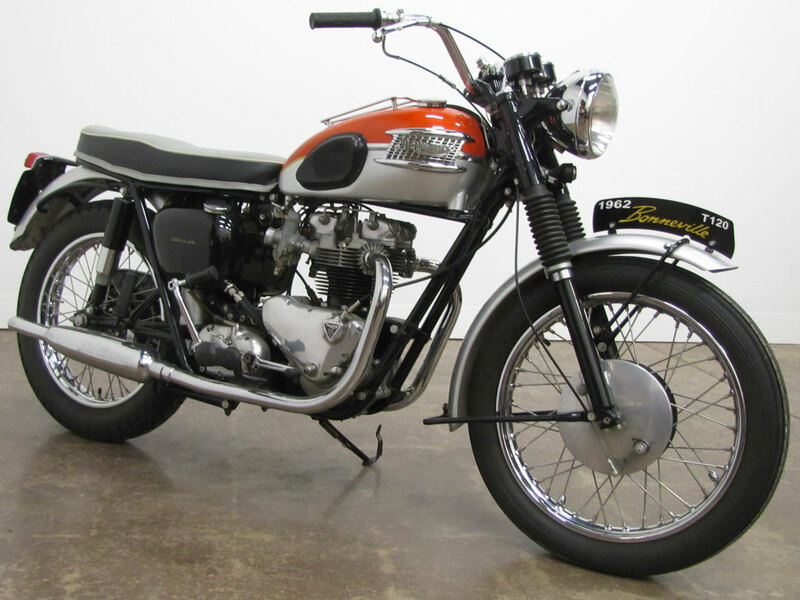 What a beautiful machine and still great to ride. 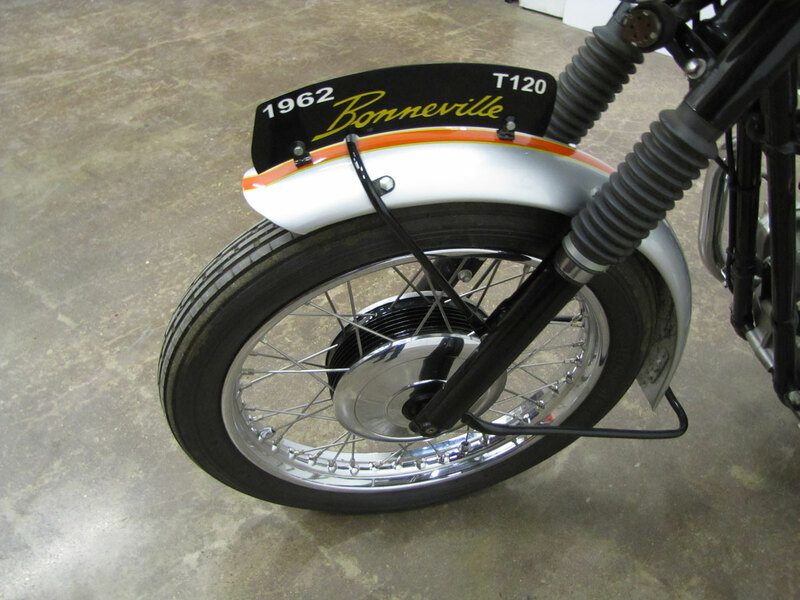 Don has good taste. 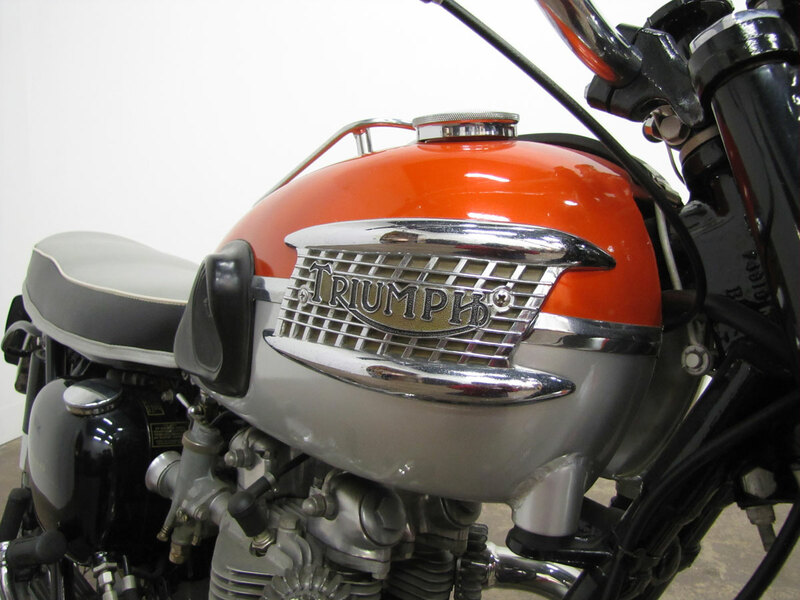 As we age, many of us are finding the 650 Triumphs a great way to stay on just two wheels. 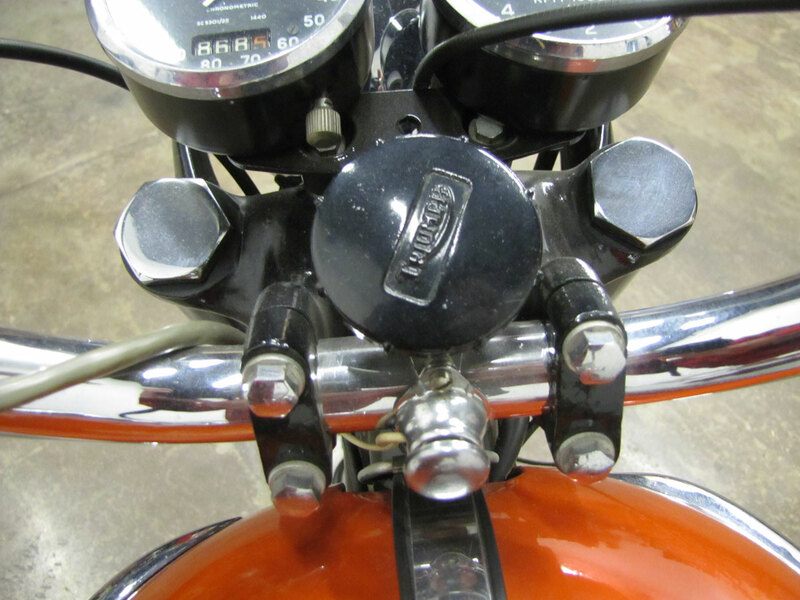 They start easily, handle very well and easy to pull out of the garage.